Helicopters are fundamentally different — and much more complicated in both construction and operation — than their fixed-wing counterparts. They have many more moving parts than airplanes, all of which must be designed and built to the highest standards. And all of those components must be rigorously maintained to ensure that the helicopter takes off, flies, maneuvers, and lands safely. Perhaps because of the complexity and the unique demands of maintaining and flying these aircraft, the rate of helicopter accidents is significantly higher than that of other forms of general or commercial aviation. And when a helicopter accident occurs, the attorneys at The Law Offices of Frank L. Branson can apply their experience to represent the victims and their families. The firm’s legal team can determine the causes of an accident and assist our clients in gaining fair compensation due to the negligence or recklessness of others. 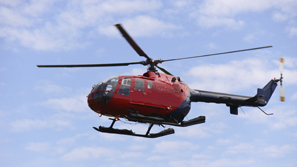 To learn more about our experience in helicopter crash matters, we invite you to contact the firm here.